The first instruments, which were look like duduk were made of bone, but in our days professional duduks made of apricot wood. The duduk’s reeds are typically produced of bamboo. It is not easy process of flattening the reed. It takes several days until it is ready. In comparison to other double reed instruments, such as the Oboe or the Zurna, the reed of the Duduk mouth piece is longer and broader. That is why the Duduk sounds much softer and similar in sound to a clarinet played in a low pitch. In the beginning the reed produces sharpest sound and then after several weeks it becomes more natural sound like in the videos of duduk you can see on youtube. The sound of the duduk is used in famous movies like The Gladiator (2000), starring Russell Crowe; The Lion, the Witch, and the Wardrobe’s fictional and in the TV series, The Game of Thrones, duduk music is featured in Daenerys Targaryen’s theme. In the world popularization of this musical instrument, huge credit should be given to a famous Armenian musician Jivan Gasparyan, a composer and skillful duduk player. In Armenian music the instruments are traditionally played in duos and in ensembles. An important feature are the roles in the ensemble: there usually is one Duduk played as drone and the other plays the melody. Duduk and its sound connects many Armenians to the culture and history of Armenia. In 2005, the UNESCO declared the duduk and its music to be an object of Intangible Cultural Heritage. What are the Best Duduk to Buy? Vernissage, the largest open air traditional market in Yerevan, offers souvenir duduks for sale, complete with colorful cases featuring beautiful Armenian designs. Also You can find number of duduk on ebay and other typical internet marketplaces are in a deflating souvernir quality only and are not suited for serious playing. Be careful, these duduks have reeds and it is possible to play them so many merchants will try to convince a customer that they are professional instruments, but unfortunately it is not true. For a serious wind instruments musician, it is recommended to order duduk from only trusted places, like ethnictune.com. In our store you can find a selection of Duduks in various pitches at a really good price. These duduks made specially for stage musician supplied with high quality reeds and case with national ornaments. Made from aged (about 65 years old!) mountain wild apricot wood in our workshop in Armenia. Generally duduk made of 2 parts: duduk cylindrical pipe and reed (khamish). Among these 9, 8 are the finger holes while the one is thumb whole. Several longer models of duduks made of 2-3 parts. For example G tenor duduk or bass duduk, which has 3 parts. There are duduks to cover Tenor, Soprano, Alto and Piccolo, as well as Bass and Baritone ranges. There are several advanced models of duduk which are extended versions of typical duduks with additional notes. 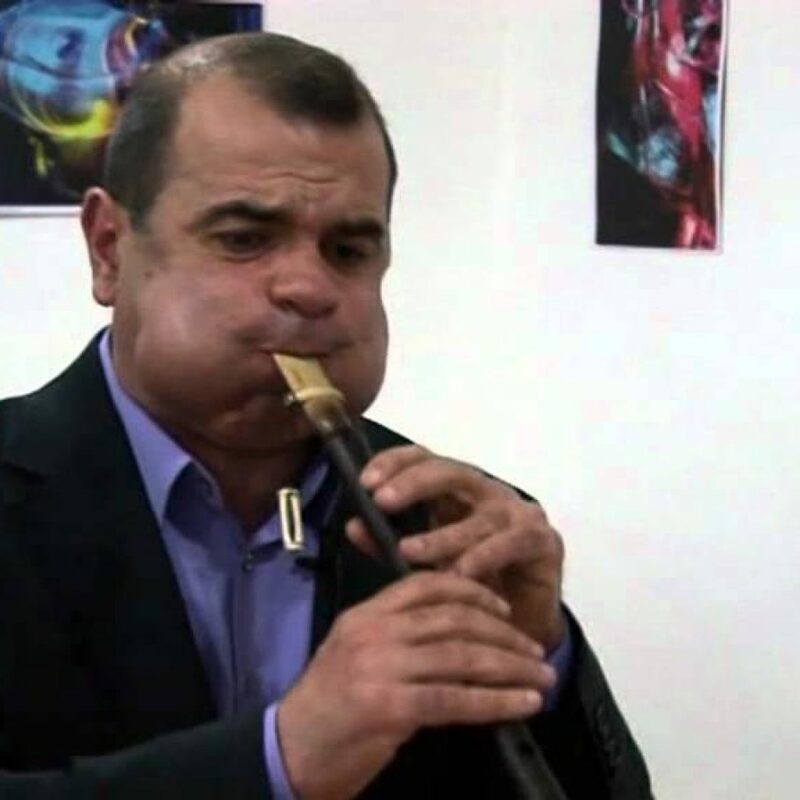 Traditionally Armenian duduk produces warm nasal sound. The Duduk is played both at weddings and funerals, a fact that indicates how differs the moods are that can be used with the instrument. The assigning of the Duduks to these ranges is still discussable, since the range of the actual instrument is not as wide as the names these ranges usually have, and for the most part, most people consider to have duduk in key of A, Tenor, which is the most popular pitch. For them who is looking for genuine professional duduk with unique velvet sound and masters sign. EthnicTune – World Music Instruments offer one of the quality handcrafted duduk made ever in Armenia. And we are proud for it. With the help and cooperation of several masters and musicians we produce duduks in our workshop made of wild apricot wood aged more than 50 years old. Ethnic Tune is perfect place to purchase your Ethnic instruments. Great website, Top support services and a friendly contact, from who you can expect a fast reply for all the questions you may have. I’m sure that this was my first of many acquisitions from Ethnictune. Thank you Karo for the friendship. Keep up with the good work. I appreciate well made instruments and the skill it takes to make them. I have a small collection of Navajo (Native American) flutes. I have Armenian friends in Jerusalem and was introduced to duduk music by them. I decided to add a duduk or two to my collection and began researching the instrument. I was led to Ethnictune and am very happy I was. Karo was extremely helpful in giving advice on which model to purchase. Earlier this week I received my duduk in the mail. It is truly a beautiful instrument. I am also intrigued by its haunting sound. Karo also recommended a source I might use to learn how to play at least some simple tunes on the duduk. I found Ethnictune’s products to be well made, affordable and the customer service was second to none. I look forward to continuing our relationship for a long time. Karo, one again, thank you. 5 stars in not enough to rate this amazing online shop! It’s unbelievable how supportive they are. I bought 2 Duduks one in C key and one in A. C Duduk sounds just perfect warm and smooth with great tuning but when I played the A Duduk and compared it with my previous A Duduk, I felt it’s a Bb Duduk and not an A Duduk. When I contacted Karo, he explained me that it’s because of the way I played the Duduk and not the Duduk itself but anyway in order to solve the issue, he is sending me another one which is customized according to my needs and I can’t wait to receive it. It looks like a dream to me. 🙂 because in real life it’s not easy to find such professional and supportive people.Dear Karo, thank you and Ethnic Tune so very much you are a great help to all of us musicians. Wish you the best with your great work. Very nice place to buy good quality exotic instruments. I love my Duduk already and now just saving up for the next instrument to buy. Also very good and fast support and even instrument advice. Much recommended! Top service, very friendly and happy to help. And of course, beautiful instrument. Thank you!! Visit our facebook reviews page for more details.